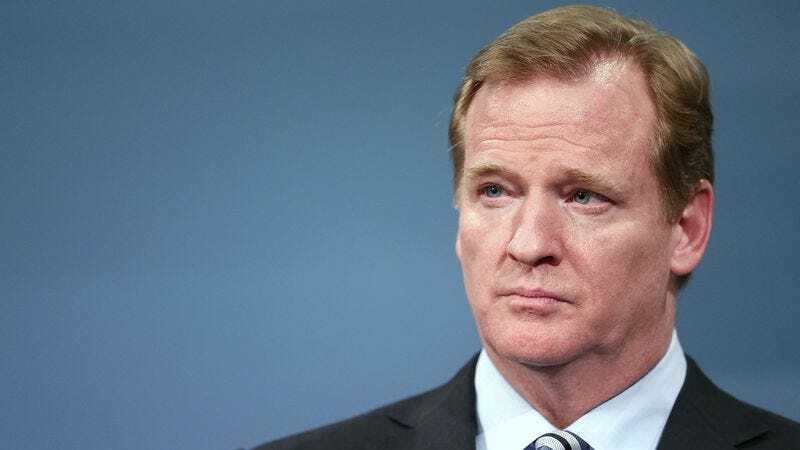 NEW YORK—Calling his sustained mediocrity “simply unacceptable,” the NFL’s owners reportedly elected Friday to fire Roger Goodell following his eighth consecutive .500 season as league commissioner. “As much as we appreciate what he has done for this organization, 127-127-2 frankly just doesn’t cut it,” said executive vice president Joe Siclare, noting that Goodell’s record included “inexcusable” losses to the Redskins, Jaguars, and Jets. “We thought Roger would lead us forward from the Tagliabue era and create a winning culture, but unfortunately he’s only delivered more .500 football. Our fans expect better than that, and so do we.” Sources confirmed that NFL owners are confident they can start winning soon if they finally pick up a decent quarterback in the 2014 draft.